By sheer coincidence, I have picked up three CDs of music from Mali over the past year or so. Mali is a great big country, spanning the Sahara desert, and therefore having both West African and North African traditions. The music is rich and interesting. It's also modern, and the young people of Mali are as susceptible to its pull as young people in the west. Two of the three Malian CDs that I mention here are by young artists with great popularity and influence over Malian youth. First, there is a CD I have featured on GOAT before, in the "Now Playing" section over on the left. It is a collection of the singles of Oumou Sangare, called simply "Oumou." Oumou Sangare layers her extraordinary singing over complex backing tracks that are both funky and mesmerizing. There is a distinct North African sound to the tonality, which is tight and chromatic but ultimately based upon a pentatonic scale. Sangare's music transcends time and place, as she seamlessly mixes these traditional Malian melodies over a danceable modern groove. The instrumentation is a fusion of traditional Malian instruments with dance-club electronica. Next, there's Tinariwen, whom I have heard described as the "Guitar Gods of Mali," and also as an edgier version of another star of Malian music, Ali Farka Toure. Tinariwen belong to the southern Saharan Touareg tribe, who were once masters of the great trans-Saharan camel caravans of salt and gold. 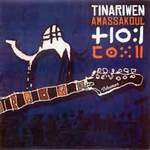 Tinariwen lays down a terrific groove - when I first heard the amazing track Amassakoul 'n' Tenere I was instantly hooked - which, like Oumou Sangare, couples a distinctly North African vocal style to a funky beat. Tinariwen differs from Sangare, however, with their heavy reliance on electric guitar and bass - they play Touareg music with a rock-and-roll sensibility. 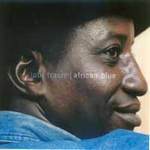 Finally, I just picked up the newest album by Lobi Traore, who even more than the others I've mentioned here capitalizes on the synergy between Mali's traditional pentatonic scale and the tonality of American blues. I get the sense that Oumou Sangare listened to Lobi Traore quite a bit, but it may just be that they are drawing on the same roots.